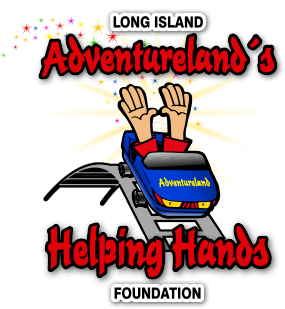 Last week, Adventureland’s Helping Hands Foundation donated $1,000 and a variety of magic tricks to Magic Aid, a nonprofit organization that teaches the children at Stony Brook Children’s Hospital magic. Founded by medical student David Elkin in 2007, Magic Aid helps relieve the stress children experience with hospitalization by performing and teaching magic to young patients. Dedicated to bridging magic and medicine through the use of magic therapy, David and his team are striving to enhance the quality of care provided to patients, one card trick at a time. Funds were raised through Adventureland Employees’ Water Bottle Recycling Program, and matched by The Helping Hands Foundation. The donation will go towards training other doctors and Magic Aid members sleight of hand, and purchasing tricks that the children can take home with them. David Elkin stopped by Adventureland last week to show some of the Adventureland staff and the Helping Hands Foundation board members and their families how a little magic can go a long way.